Glitter Queens Quarterly card video ..
Click HERE for all the details !!! Click HERE to view the Sale-a-Bration mini online . Here are the cards ( over 100) I made for my Glitter Queens stamping team this month . I will be posting a video later this week . We have a Sale-A- Bration Blog Hop for you starting Today - Friday. 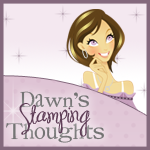 Click HERE to your 1st stop with Dee on the Sale-a-Bration Blog Hop . Click HERE to view this mini. Click HERE for the Stamping Supplies. The sale-a-Bration mini has a different layout this year you will have to scroll DOWN and not flip the page when you click on the link above to view. Sale-a-Bration is the Stampin'Up! BIGGEST event of the year . Sale-a-Bration time means FREE goodies for everyone . Plus a fabulous promotion on the starter kit. When your order reaches $150.00 ( before S&H and tax ) YOU get (3) items from the Sale-a-Bration mini for FREE ~ Plus a FREE pack of Silver Glimmer paper . PLUS you get the Hostess ONLY benifits ( level 1 Hostess only item ) Plus 15.00 to spend for FREE as well . As you see the higher your order sub total reaches the More FREEBIES you get .. I love Free goodies ! You must live within the USA / New Mexico / Puerto Rico and or have a APO/FPO address to place an order with me . It's a Fabulous time to sign up to be a SU! Demonstrator during Sale-a-Bration time ....WHY you ask ? Because the starter kit is still $99.00 BUT you get to pick out $156.50 worth of product in your starter kit . 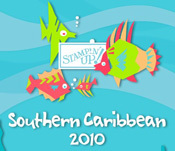 Thats 25% more for celebrating Stampin'Up! 25th Anniversary this year. Click HERE for even more details .